TULSA - You may not think Oklahoma is known for grills or greeting cards, but some savvy entrepreneurs are using those products -- and so much more -- to make a name for themselves and the state. Even after almost 70 years in business, Hasty-Bake Charcoal Grills is finding that demand for its grills remains strong. "Charcoal grilling is becoming a pretty big worldwide sensation right now," said Tracy Yekzaman, Hasty-Bake's marketing director. "And so we hope that Hasty-Bake will hopefully catch that fire across the world." Yekzaman said every grill is still built by hand in Tulsa. They're then sold all across the country and the world. Two shipments recently went to buyers in Australia and Germany, Yekzaman said. "It's a U.S. product, Oklahoma made," she said. "And we couldn't be more proud." Hasty-Bake now has its own line of spices and seasonings, and the company recently began manufacturing storm shelters in its fabrication shop. Yekzaman, however, said the primary focus is, and always will be, the grill. Elsewhere in Tulsa, the owners of The Two Guys' Bow Ties Company are working to build a lasting brand. Tim Paslay and Adam Teague started the business four years ago after Paslay made a wooden bow tie to wear to a wedding. "I even got more compliments than the bride, I like to say," Paslay said, laughing. Their business really took off after appearing on "Shark Tank" last year. Their completely customizable wooden accessories, which include wood-brimmed hats and wooden lapel flowers, can now be seen just about everywhere. On a recent episode of "The Tonight Show with Jimmy Fallon," drummer Questlove wore one of their bow ties while playing with The Roots. "This year, the MVP of the NFL, Cam Newton, he wore probably three or four of our lapel flowers during press conferences," Paslay added. 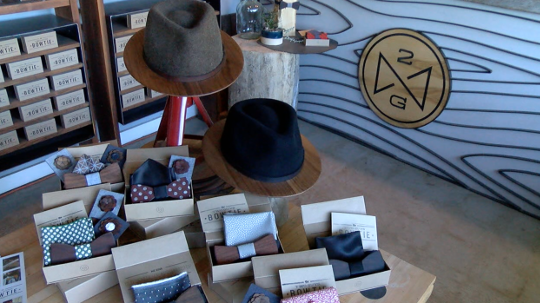 Paslay and Teague opened The Two Guys' Bow Ties shop near 6th and Peoria in midtown Tulsa. They said they are working on a few ideas right now to grow their brand even further, but they're glad to be based in Tulsa. "How it happened, I don't know," Paslay said. "It was one of those things that we worked hard to make sure we had a good product that we were proud of; that was well-crafted, and we thought looked good. From there, we tried to get it to people we thought would enjoy it. It's just grown." From his garage in Broken Arrow, Bob Kirchmer is less interested in building a brand. 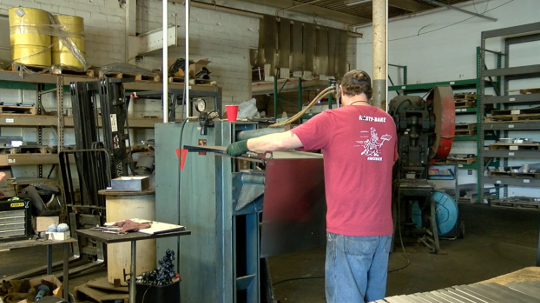 He's instead spending his retirement running Kirchmer Enterprises, an endeavor that gives him "just the satisfaction that you helped somebody have fun." 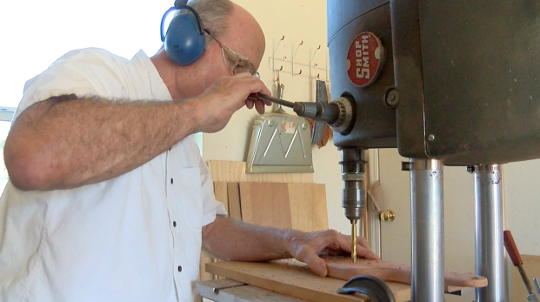 The fun comes from the various wooden game boards he makes entirely by hand. The boards include chess, Chinese checkers, Wahoo, Pegs & Jokers and a new one called Corridor. "You're trying to find a path through fences, so it's a corridor path," Kirchmer said. "The object is to get your pawn over to the goal line on the other side." He mostly sells his game boards at craft shows throughout Oklahoma and even other states. He said before anyone else can buy them, though, he has to give them all a try himself. "That's one of my standards," Kirchmer said, smiling. "I have to play every game and know how to play it, so my wife is forced with playing me all the time." Instead of wood, Mike Mariano's chosen medium is metal. 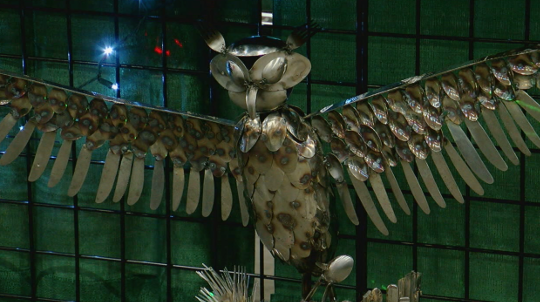 He created his business called Tyrone's Treasures last year so that he could sell the unusual sculptures he makes entirely from silverware at different events. "We've done cars and planes," Mariano said. "You name it, we'll attempt it." Mariano, who's worked at the glass factory in Henryetta for the past 27 years, started this side project after taking cutlery and making some metal flowers out of it for his wife. "It started with a bouquet of roses for Valentine's Day for my wife," he said. "And it's kind of growing into a beast." His artwork ranges in price from $5 to $1,000. Most of his free time is now spent crafting new sculptures, and he claims he can take silverware and make just about anything from it. "Anything from one fork bent up and rolled around into a snail," he said. "To an eagle that had 336 teaspoons, 337 tablespoons, 155 butter knives and a spatula." He hopes to one day focus on his artwork full-time, a bold step Peggy White of Tulsa took with her business last year. White runs Chateau Blanche Design, where she takes her own illustrations and puts them on greeting cards with funny or sweet messages on the front. She claims her best seller is the one that reads, "You're the gravy to my biscuits." When asked why she thinks that one sells so well, White said, laughing, "It's probably because we're in the south." She is expanding her line and using the drawings on her cards in different ways. 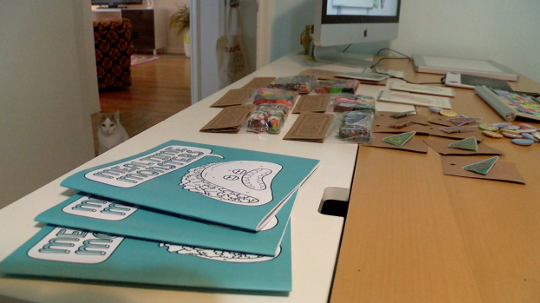 She now sells them on everything from buttons and broaches, to necklaces and coloring books. "If I find a way to put my art on a thing that people can do something with as opposed to just hanging on their wall," White said, "then I like that."